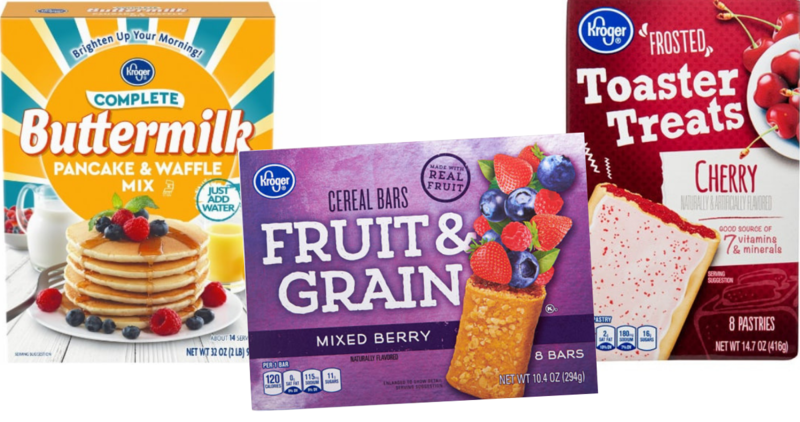 Through January 22nd, you can get $2 off your next purchase at Kroger when you buy (4) Kroger Brand breakfast items. This is a new Catalina promotion and the $2 off coupon will print on a slip of paper as you check out (you can use it for anything in the store). Tip: Only one Catalina coupon will print, so don’t get excited and buy 8 items in the same purchase. If you want more split up your purchase. You can even pay with the $2 coupon from the first 4 on the next 4! See the full Kroger Ad for more great deals!